When most people talk about lupus, they are usually referring to Systemic Lupus Erythematosus (SLE), which is the most common type. However, there are many other types of lupus. This is the one I talk about the most, because it is the one that I have. This type of lupus can affect anything and everything in the body, hence the term 'systemic', which means that it can affect multiple parts of the body. SLE can affect the skin, organs and other body tissues. It varies in severity, ranging from life-threatening to so mild that it is barely noticeable. Those of us with this disorder can experience a range of symptoms, including the most common ones such as joint pain, migraines, skin rashes, photo-sensitivity, organ malfunction and failure, chest pain, blood disorders, neuropsychiatric manifestations, muslce pains, oral and nasal ulcers, fatigue and fevers. SLE is very unpredictable and each flare up is different. Some flare ups may be short-lived, or last for ages; or you may experience one flare up after another, or have a flare up and not get another for years. 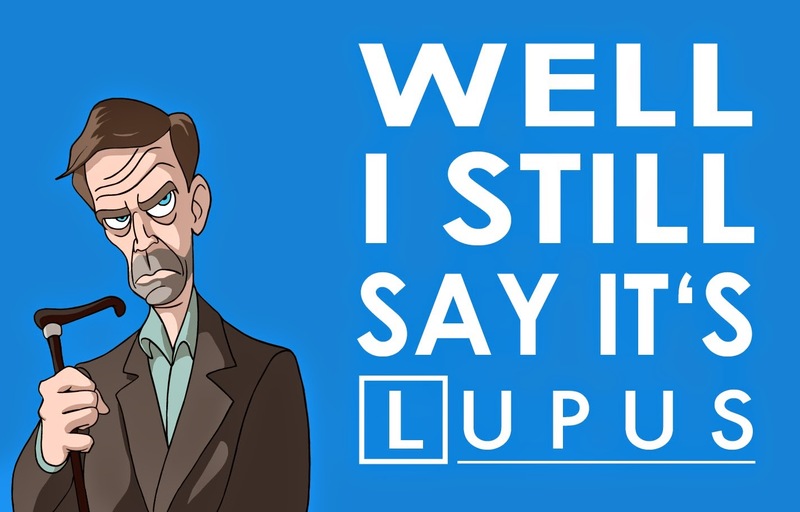 Every lupus patient is different. The treatments include steroids, immune suppressants, biologics and anti-malarials. There is currently research into newer potential treatments, such as DHEA. This is a large family of lupus types that primarily affects the skin. The Lupus Foundation of America (LFA) say that cutaneous lupus can cause "types of rashes and lesions" with the most common being 'discoid rashes', which causes disc-like rashes that are "raised, scaly and red". Cutaneous lupus rashes may manifest as a malar rash (the butterfly rash) over the checks and nose. This form of lupus can affect various parts of the skin, showing particularly strongly in parts of the skin exposed to sunlight. 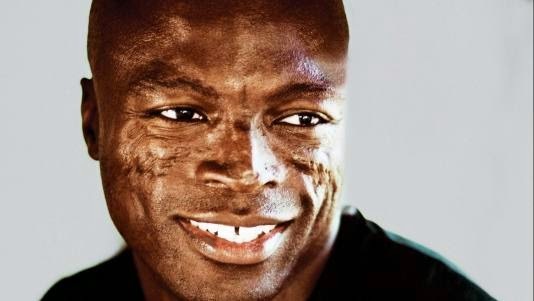 Hair loss is another way cutaneous lupus affects the skin. The LFA add that "approximately 10 % of people who have cutaneous lupus will develop systemic lupus." There are three subtypes of cutaneous lupus, including acute cutaneous lupus, subacute cutaneous lupus and chronic cutaneous lupus. Acute cutaneous lupus typically manifests as the malar (butterfly) rash, as mentioned above. The form of cutaneous lupus develops on skin that is exposed to sunlight, particularly on the face such as the nose and cheeks. It may manifest as non-scarring lesions or red patches (typically flat). The rash may resemble sunburn. ACLE mostly occurs alongside systemic lupus. These patches can also occur on other parts of the body such as the limbs and chest, where the skin may be exposed to sunlight. Other symptoms may include skin pigment changes, oral and nasal ulcers, hair loss and itchy hive-like rashes. Subacute cutaneous lupus. This version of lupus typically causes non-scarring lesions that commonly appears on skin exposed to UV light. It usually presents as a non-itching rash, which may manifest as skin lumps, vasculitis rashes, circular shapes or as scaly bumps. SCLE often occurs with systemic lupus. Chronic cutaneous lupus is also known as discoid lupus. This version of lupus produces circular disc-like rashes on the skin (hence 'discoid') that often leads to permanent scarring. This rash commonly appears on parts of skin exposed to daylight, such as the face, arms, neck and upper chest; but it can appear on other body parts too. If it affects the scalp, it can cause hair loss. The rashes can be painful and irritating. The thing to remember is that DLE is not life-threatening. But there is a small risk that DLE patients may develop SLE: "It is estimated that between 5 and 10% of DLE cases also have SLE and that the same percentage will go onto develop SLE. *"
Tumid Lupus is another form of cutaneous lupus, which typically manifests as non-scarring rashes on parts of the skin exposed to sunlight. It presents with "red, swollen, urticaria-like bumps and patches, some of which are ring-shaped". 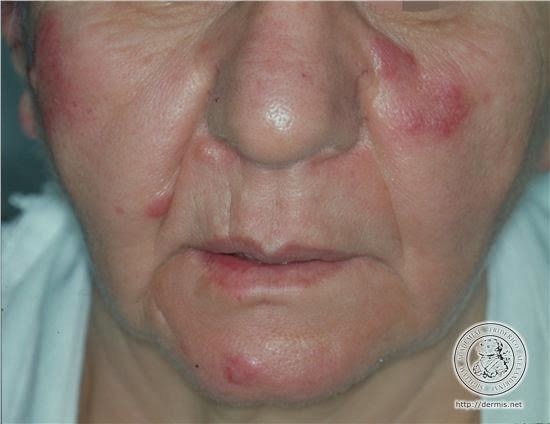 In rare cases of tumid lupus, patients may develop cutaneous lupus mucinosis. It may manifest as a rash of small bumps, skin nodules or plaques. The nodules usually "come up on the cheeks, upper chest, upper arms or back." Mucin deposits are "detected in the dermis" of the skin. Mucins are cells that make up the mucus lining epithelial tissue (such as digestive and respiratory tracts); mucins also occur in saliva and gastric juices. Lupus profundus, also known as lupus panniculitis, destroys the fat cells beneath the skin, producing lipodystrophy (dented) scars. 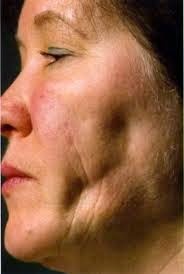 It most commonly affects the face, but can occur in other parts of the body such as scalp, chest area, limbs and trunk. Symptoms may include "persistent, well defined nodules...which may ulcerate and heal with scarring". This form of lupus occurs in '2 to 5% of SLE patients, whilst 10 to 15% of the patients with lupus panniculitis have or develop SLE'. 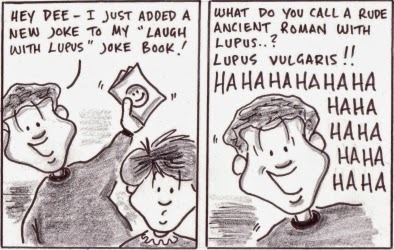 Bullous lupus, a rare version of lupus that attacks the skin, causing eruptions of blisters in affected areas. It is caused "by antibodies and inflammation abnormally accumulating in a particular layer of the skin or mucous membranes." This form of lupus causes "intense itching and burning sensations" of the affected area. If the inside of your mouth is affected, "it can cause pain, burning, peeling away of affected inner lining tissues, and sensitivity to acidic foods. Eating can be difficult." Other symptoms include "coughing and nosebleeds," depending on which area is affected. Patients may also have this form of lupus in connection with systemic lupus, producing similar symptoms. Immune suppression is usually used to treat bullous lupus. There is a list of over 100 drugs that can cause lupus, the symptoms will often appear after a person has been on high doses of the medication over a number of years. Chlorpromazine, Hydralazine (used to treat high blood pressure), Penicillamine, Isoniazid, a-Methyldopa, Procainamide (used to treat tachyycardia), Sulphasalazine (used in colitis, crohn's disease and rheumatoid arthritis). Tetracycline (in particular Minocycline, used for acne). Not everyone who takes these medications will develop drug-induced lupus. For reasons that are currently unknown, this form of lupus develops in some individuals taking those medications long-term but not in the majority of people who take these drugs. Symptoms usually improve once the medication is stopped, within weeks, though a rare number of patients will continue to experience some symptoms in the future. NSAIDs and/or steroids are often prescribed to bring down the inflammation caused by this form of lupus. Neonatal lupus is a rare form of lupus affecting newborn babies, which typically manifests as a red rash on the skin. The Lupus Foundation of America explains that neonatal lupus is "associated with anti-SSA/Ro and/or anti-SSB/La antibodies from the mother that affect the fetus". The LFA adds that the affected newborn baby may also experiences other problems besides the skin rash, such as liver problems and low cell counts At birth, the baby may have a skin rash, heart block, liver problems, or low blood cell counts. "These symptoms typically disappear completely after six months with no lasting effects," though heart block "does not disappear, and affected infants will eventually need a pacemaker." It is important to note that most babies born to mothers with lupus grow up to be entirely healthy. 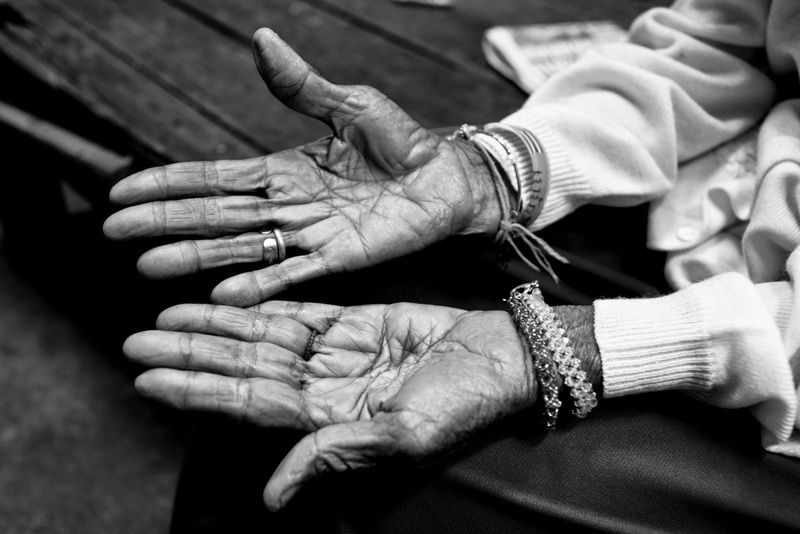 Late onset lupus is exactly like systemic lupus, but this version develops in later life (usually after the age of 55). 80% of those with late onset lupus are female. It is worth remembering that in systemic lupus cases affecting younger people, 90% of those patients are female. In this form of lupus, symptoms are usually milder and may include joint and muscle pain, chest pain, Raynaud's, overlapping syndromes such as Sjogren's or Raynauds. Organ damage is less likely, with neurological and renal involvement being less common. Late onset lupus is typically managed with steroids and/or immune suppression. Chilblain lupus is also known as 'chilblain lupus erythematosus of Hutchinson.' It is a rare subtype "of lupus erythematosus characterized by erythematous lesions induced by cold, damp climates." Symptoms may include chillblains, mild joint pain of the fingers, Raynauds, sensitivity to sunlight and skin lesions. It may occur alongside systemic lupus and a number of patients with chilblain lupus may "eventually develop features of systemic lupus." Lupus with lichen planus overlap is a rare sub-type of lupus affecting the skin, which "combines the features of both lupus and lichen planus". Symptoms include lesions that "mostly affect the distal arms, legs, face and trunk" and plaques that "are often painful, centrally atrophic, bluish-red to hypo-pigmented in colour, large, and scaly." Hypertrophic lupus erythematosus is also known as verrucous lupus erythematosus. It is a rare form of cutaneous lupus "characterised by verrucous lesions, chronic in its course, and resistant to treatment." Systemic Lupus: for more information about systemic lupus, I recommend the Lupus Foundation of America and Lupus UK.